YELLOW ALL-PURPOSE 40t Felting Needles Combo Pack. 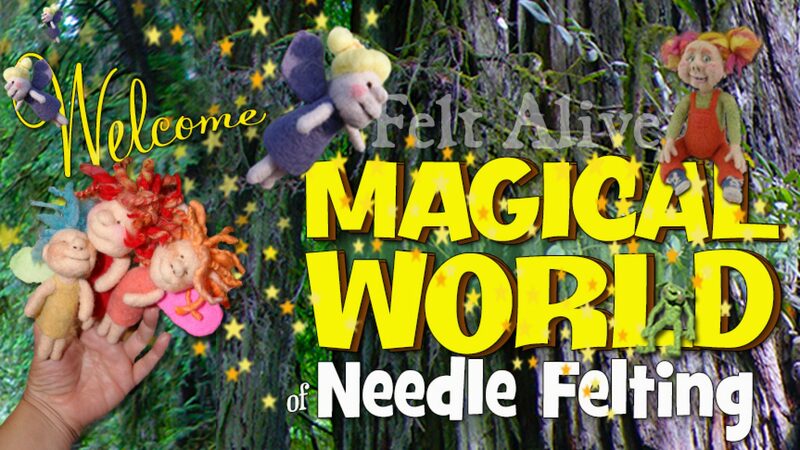 Includes 2 single point and 1 double point Felt Alive Felting Needles. Because a fun craft demands fun tools, we’ve been putting the fun into felting needles since 2008. The yellow 40t is my favorite felting needle ever! It is fine gauge needle that pierces into the wool easily and seems to felt nearly any fiber fast and efficiently. The double yellow needle is most useful when starting out my projects. As the wool felts and tightens, I switch to the single point which glides into the felted wool smoother and easier.